Why can't I find a jersey large enough for my chest, small enough for my waist and long enough for my torso? Hey Greg, Good question. The human body comes in so many shapes and sizes. Although there are some traditional ways to size and fit clothing, we started from scratch and made the gear we thought people would love. The great thing is we use fabrics with a high percentage of Lycra so it stretches more and fits better than our competition. What do you look for in a good chamois and why? Hey Alan, the chamois of one of many functional pieces in the gear, but arguably the most important. Mainly we look for high density foam that bounces back time after time after time. The second most important thing is to have a bib shorts that fits correctly. You can put a great chamois in an ill fitting or loose bib, and it just won’t perform. New materials that help cool, transfer moisture? Does the cut and layout of material affect fit or cooling? How do they decide how deep to make those back pockets? Ha! Hey Brett, We’ve gone through close to 80 iterations of our Rincon jersey to get the perfect fit. With our laser cutter we were not only able to bring a mature product to market fast, but we can constantly perfect. But the cut of a garment is moot if you use inferior fabrics. We use only the best of what we can source from Italy and Switzerland. If you swap out our fabrics with lesser quality, it just doesn’t work and many companies won’t invest in the good stuff. Do you have plans on making daily cycling commute clothing in the future? Currently that is not our goal for the Eliel brand. Although we do manufacture our own gear, we consider ourselves a performance brand first and foremost. If we did make commuter gear we’d do it under a different brand with a focused look and feel. When was Eliel founded, what was the motivation behind founding Eliel? We just wanted to make gear that we loved to ride in and fit our style. There are so many Euro-centric brands that offer quality products, but didn’t speak to us. 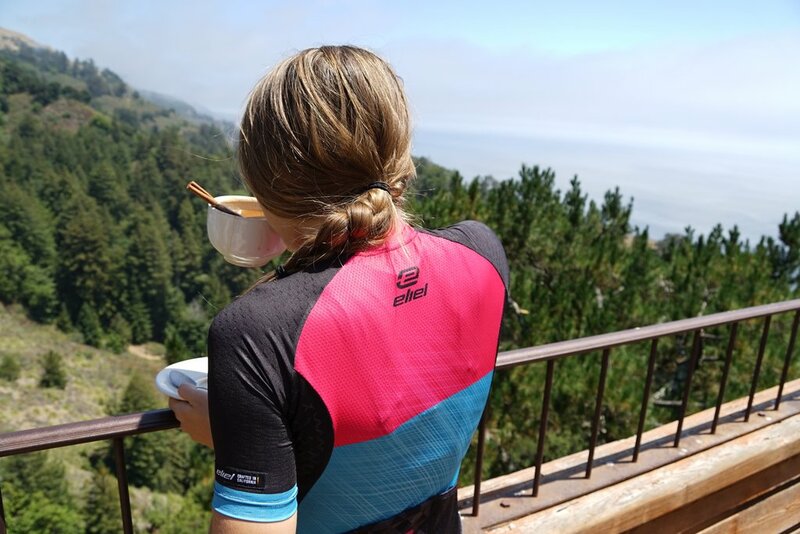 California is a brand all its own and aim to be the ASSOS of California. What are the current trends in fabrics, fit and comfort? How does Eliel fit in the picture? The trends are moving towards more customization and limited edition styles. We built our factory from scratch to flexible, creative and proactive. We’re able to give a higher level of service with the local manufacturing and produce fashion forward gear in a timely manner. Is seems that once piece “San Remo” type pocketed speed suits are becoming popular for racing and training. Something you guys are working on? Look for our version of the road speedsuit coming this Fall. It’s called the Santa Ana after the famous winds that blow from the mountains in California. You guys manufacture in California made in U.S.A. Was that the founding principle? Does having a local facility allows for more innovation and tighter integration between design and production? Internally we’re able to control 100% of what we do. Very few companies can say that. From the clients point of view…they are able to have a personal connect with their gear. We have a design studio for the client to meet with our design staff and they can see their gear being made right there. Our friendly staff can repair crashed gear, fixed zippers and do the little things our clients want from a premium clothing brand. Your new SQUID collection seems to be pushing the envelope. 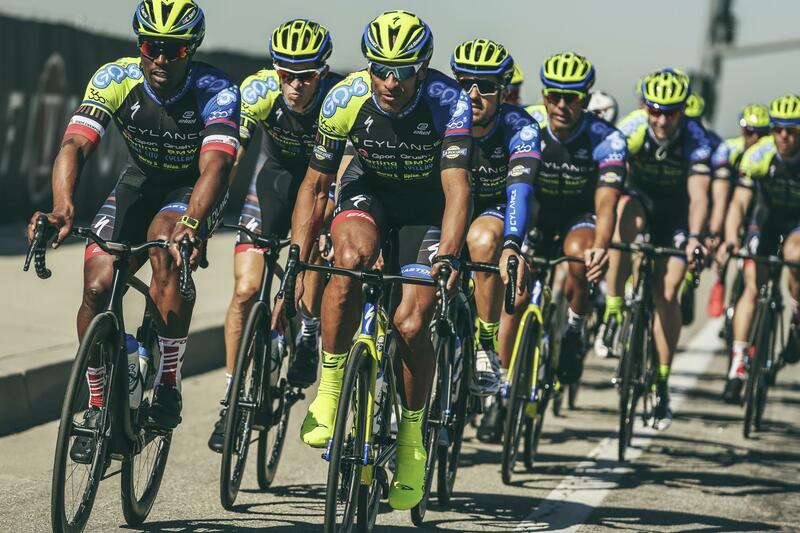 What are the current trends in cycling kit design? Good design is good design. I’m a fan of less is more. But when you go wild it has to be focused and fun. So many people just put too many elements into a kit. Just because you can use all the colors, doesn’t mean you should. I’ve seen Super Squadra race in your kits. They look great. More teams to follow? I can’t tell you how stoked I can to be working with the Super Squadra guys. At Eliel, we always remind ourselves to be authentic, and when I met Ian and David and the crew I knew we were a great match. I think we have a couple more teams from the Austin scene joining the Eliel family which makes it much more fun when we come to town. On a side note…I have to say that Austin is one of my favorite towns and I’ll be back soon. Thanks for the opportunity to tell you more of our story. 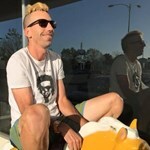 As lifelong cyclists with deep roots in the Southern California community, Ryan Cady, Matt Becica and Derek Wiback all shared an appreciation for racing, and a competitive spirit that helped them build previous successful brands. Over the years, the more they rode, the greater their kinship grew with the local groups who were putting in the daily miles. Furthermore, they felt those crews deserved a higher level of custom performance gear when flying their team colors. From that idea, Eliel was born. 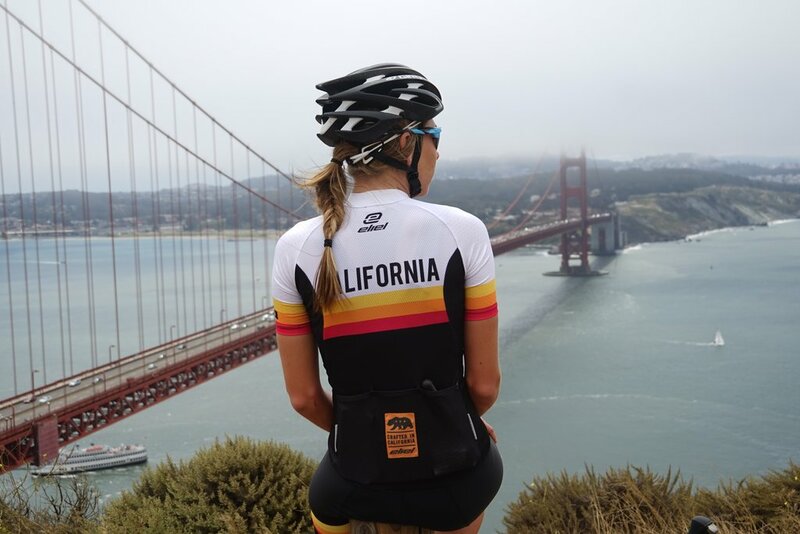 To create an authentic brand that captured the spirit of California while delivering unmatched quality that would rival the leading brands from across the cycling world. 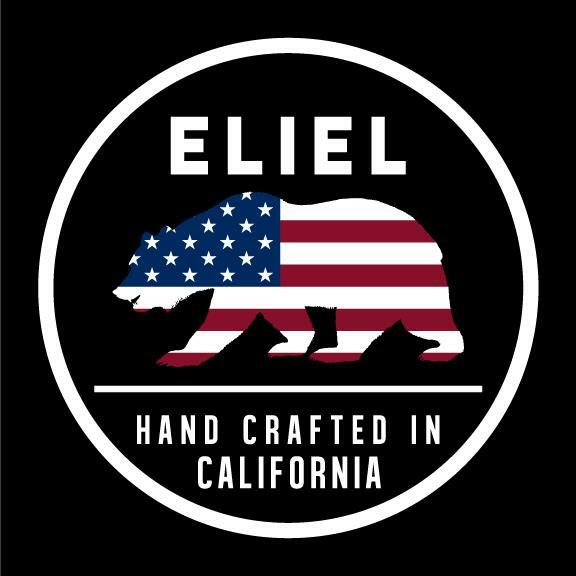 A global search for a manufacturer led Eliel to set up their own shop right at home in California. Combining their depth of cycling experience with the latest cutting edge technologies, they were able to rapidly prototype and test every concept. They also experimented with a broad spectrum of performance fabrics and made countless refinements to cut and construction, ultimately arriving at the gear they were proud to put their name on. That research and development process continues with every new product. 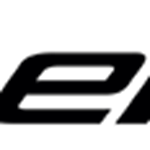 Today Eliel offers world-class custom and branded cycling gear to cyclists everywhere that share their passion for the pedal. I got http://wativ.com/promo-codes/elielcycling-com/ 15% Off on my whole purchase by using Eliel Cycling Coupon Codes.